Our investigators are among the best private eye in the business. 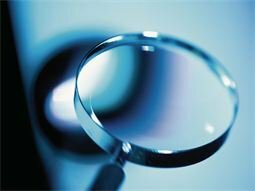 We know how to conduct investigations thoroughly, discretely and efficiently. This saves you time and money. Put our seven decades of experience to work for you. So if you’re looking for a private eye, John Shields can get the information you need. John Shields provides clients with discrete surveillance, using state of the art equipment and techniques. We have the best male and female private eyes for any type of investigation. Conduct interviews and take statements. We have NYS notary publics on staff. We provide expert witnesses in the fields of fingerprints (collection, examination, and identification), crime scene investigation (processing, evidence collection, preservation, and chain of custody). Document accident scenes with photographs and diagrams. Do you think your husband, wife or significant other is being unfaithful? Are you trying to catch a cheating spouse? Our team of professional private eyes will use the latest techniques and equipment to get you the information you need to make informed decisions. Our compassionate team of experts will provide a discrete and personal investigation. John Shields has investigators who specialize in Intellectual Property and Trademark Infringement Investigations. Our clients include some of the most prominent names in the fashion and music industries. John Shields can run extensive background checks of individuals and businesses. You can trust us perform the detective work properly and thoroughly. Learn more here. Our private detectives can perform a “sweep” of a network, computer, or a mobile phone where we can detect unauthorized intrusions and identify malware. Learn more here.